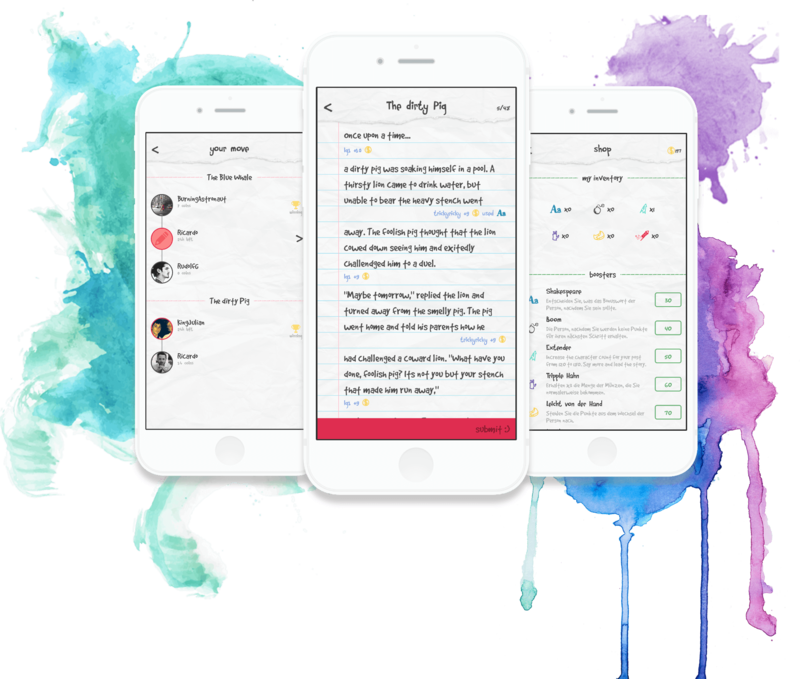 Write the funniest, craziest and most creative stories with your friends and with people from all over the world. 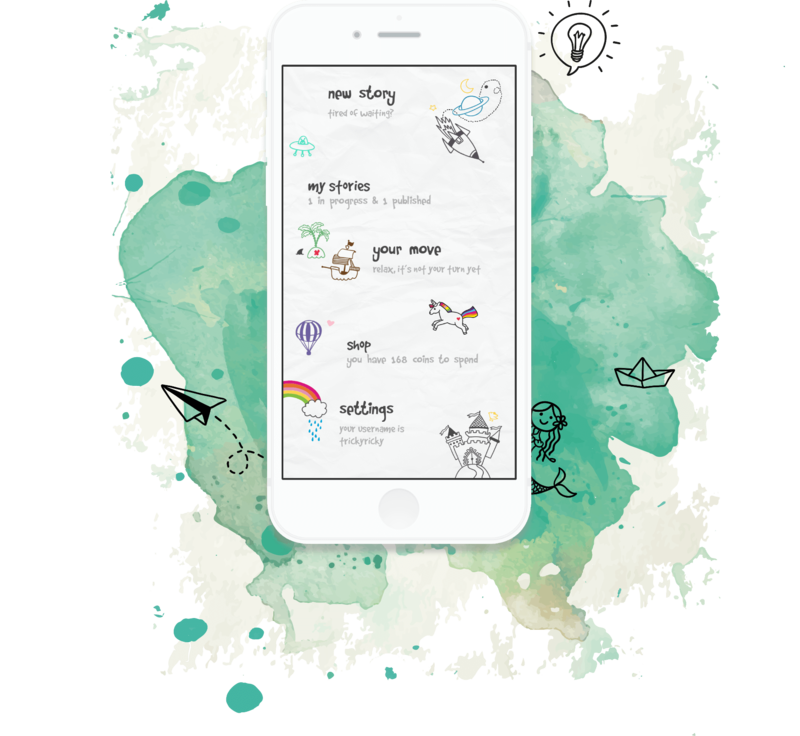 Take turns to write up to 160 characters per move and witness your story unfold. All stories start with "once upon a time..."
A story can have 2-10 authors. Invite your friends via facebook or username to co-author your story. Earn coins by using bonus words, answering fast, and having original, creative and detailed responses. Use your coins to buy boosters in the shop. Use boosters to battle your friends and gain the upper hand. The person with the most coins at the end of the story wins. Share your stories with your friends and invite them to co-author your next one. You can also use TaleAStory to write fan-fiction, birthday greetings, poems and songs with your friends. Just ignore the coins. Write stories in another language to learn or improve your skills. The choice is yours. Submit your stories to competitions. Have thousands of people read them and win cool prizes. If you have any suggestions or ideas, send us an email. Remember, the only limit is your imagination! Sign up to our mailing list now and get 100 coins for free!